He is AWESOME Diane! Love how you've die cut the foam then adhered the sparkle cut. 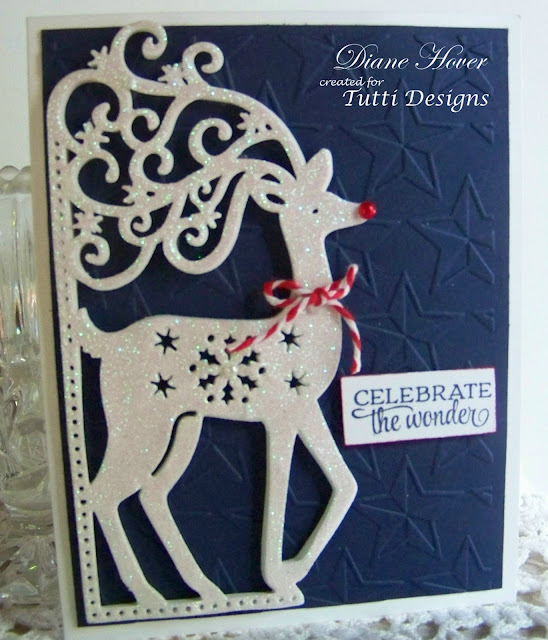 Also love the red nose and twine 'scarf' ... perfect! Especially with the dark blue background. 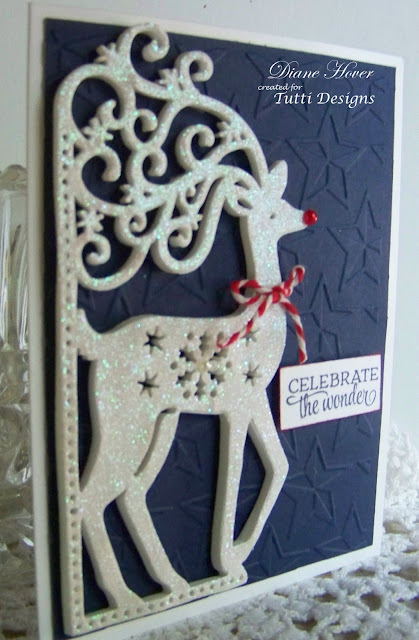 Wonderful inspiration using this beautiful die cut! Love the red nose on the deer and especially the scarf. Gorgeous card. My first question was how did she get that depth so cleanly!! Thanks for answering even before I finished the thought!